We all have different time frames and risk objectives. That’s something that rarely gets discussed but is probably the most important detail of our investing lives that must be defined. 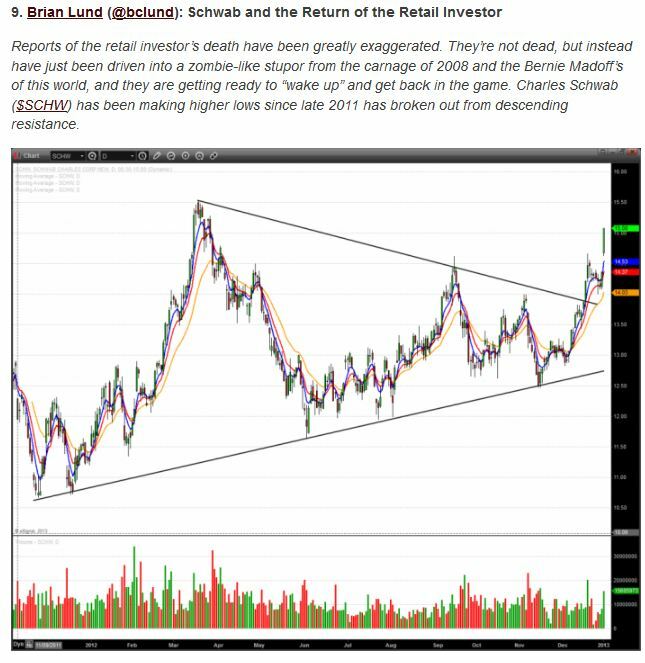 In my work, I incorporate a top/down approach starting with longer-term charts and work my way down to shorter-term time frames. 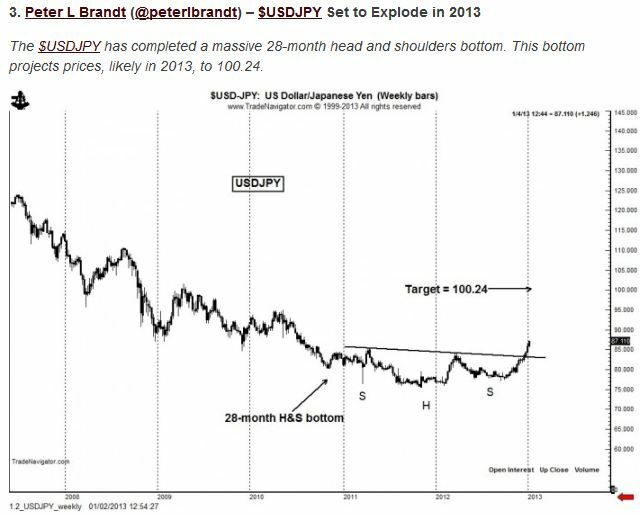 One of my favorite long-term charts is something I coined “The Chart of the Decade” back in 2012. This is the secular shift out of Latin America and into more developed nations. There are a few things we can take from this. 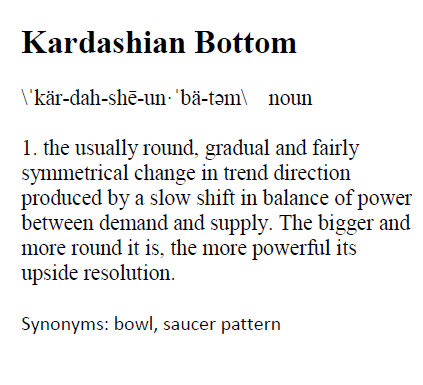 The first one is obvious: big round bottoms can be very powerful. 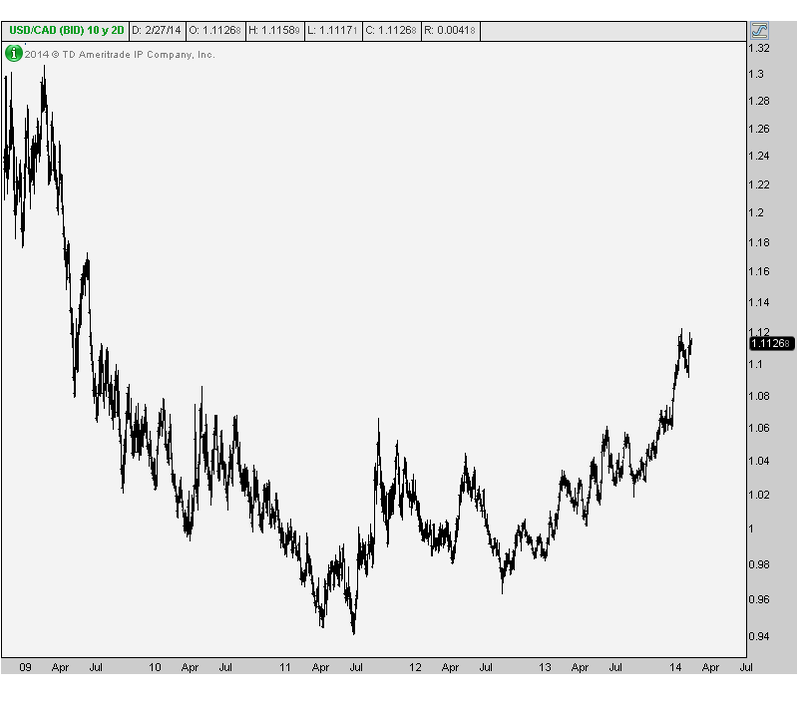 We’re seeing similar bases in $USDCAD as well as in the Emerging Markets vs S&P500 spread. The second thing we should be paying attention to is just that, the underperformance in Emerging Markets. Latin America is just another example of money flowing out of this emerging space and into more developed nations. And not just the US, but into Europe and Japan, especially on a relative basis. This is a huge secular shift that we’re watching and trying our best to take advantage of it. 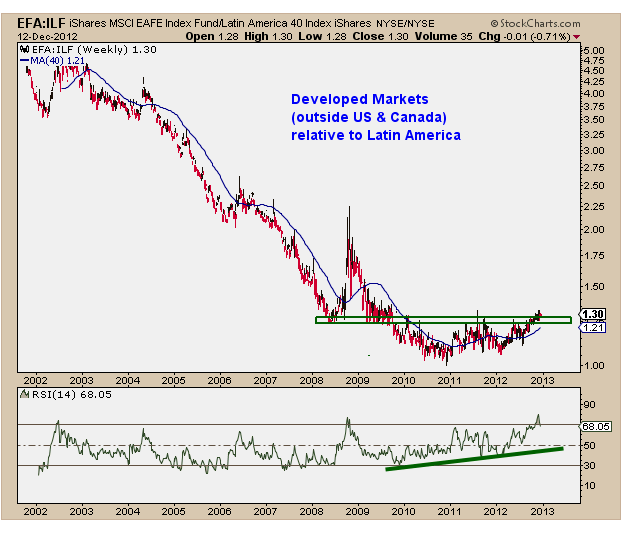 Latin America and Emerging Markets as a group were major outperformers for a long time. This has clearly changed and based on these huge bottoms, it looks like this trend is probably here to stay. 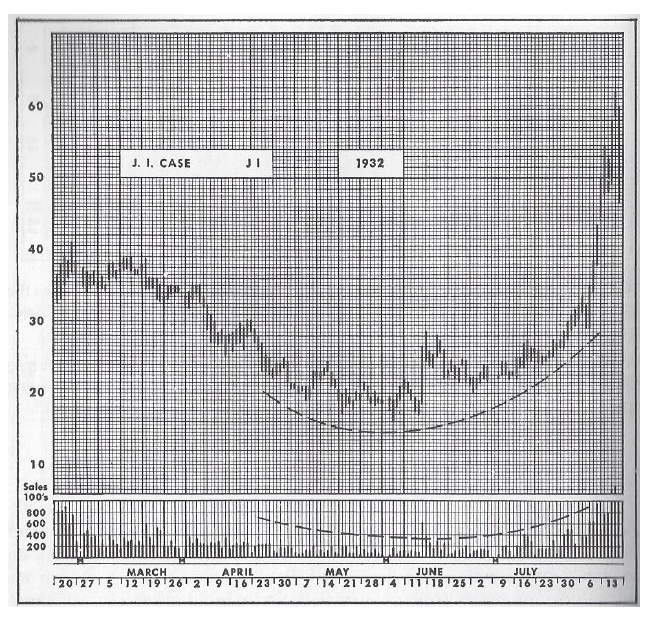 Look at this chart above. 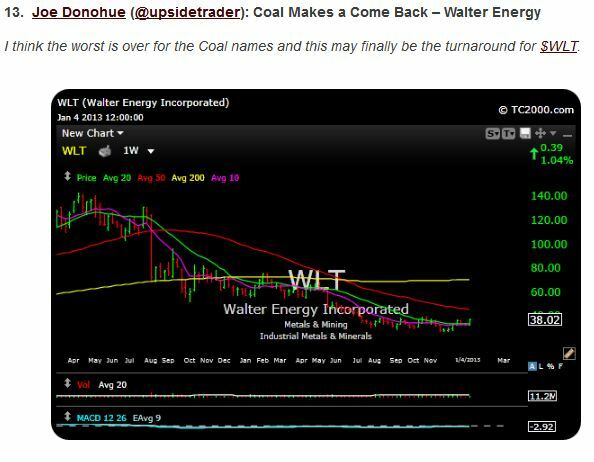 To me there is much more upside here proving that this is still The Chart of the Decade. On Tuesday I posted a mystery chart and asked readers and followers to decide whether it should be bought or sold based strictly on price. Without knowing what it was, the majority of the responses coming in were to buy it, or buy it with a stop below previous highs. This mysterious chart is actually a pair: SPDR Euro Stoxx 50 as the numerator and FTSE China 25 Index as the denominator. In other words, Long $FEZ / Short $FXI. This chart shows the relative performance of Europe compared to China over the past 7 years. This China fund does not represent the Shanghai Composite or any other Chinese average. The $FXI consists of 25 of the largest and most liquid companies that are available to international investors. All of the securities trade on the Hong Kong exchange. So it is not representative of all of China as a country, but just a basket of these specific companies: Bank of China, China Mobile, CNOOC, etc. Same thing with the European Fund. $FEZ consists of just 50 humongous European companies. So France’s Total and Sanofi, Germany’s Siemens and Bayer, and definitely not Bank of Greece. 50 “blue chips”, not the little guys. To me, this chart is clean. And it represents an ongoing theme that we’ve been talking about for a while. Which has essentially been long of big developed nations, heavily weighted Europe, and short Emerging Markets. 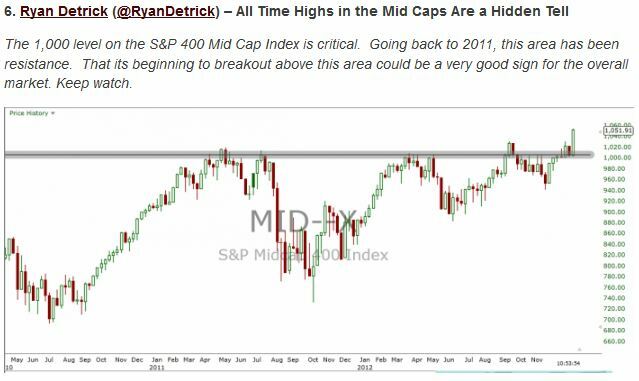 For example, coming into the year, Phil Pealrman published a list of charts to watch for 2013. 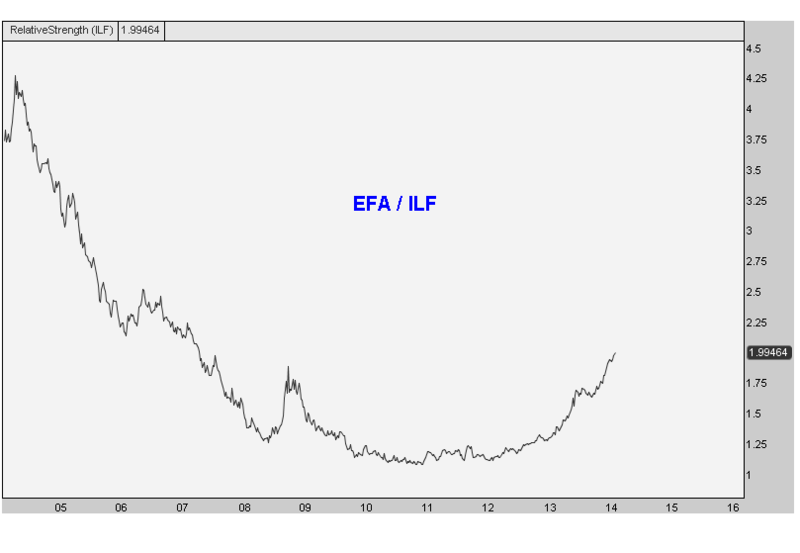 My chart was the Long $EFA / Short $ILF pair. This trade went long companies from developed countries outside of the US & Canada and Shorts Latin American companies against it. At the time, the price was at 1.30 and is now at 1.50 without much of a pull-back. 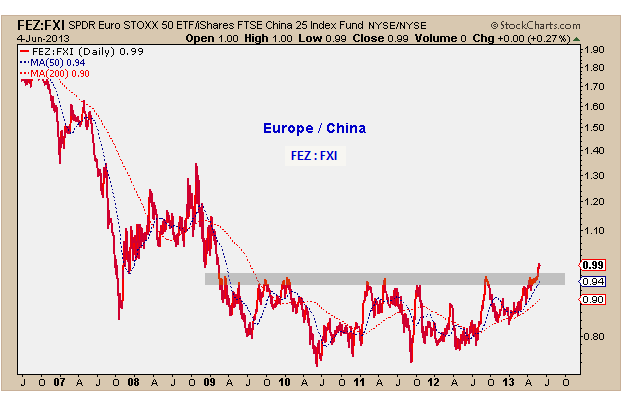 Another recent example of this theme has been the $FEZ / $ILF pair, which is Long the Euro Stoxx 50 explained above, and short the same Latin American 40 fund mentioned in the second example. Phil and I have been talking about this one consistently in our weekly videos. And it has also been working fabulously. So this one is just another spin-off I suppose of that same ongoing theme. 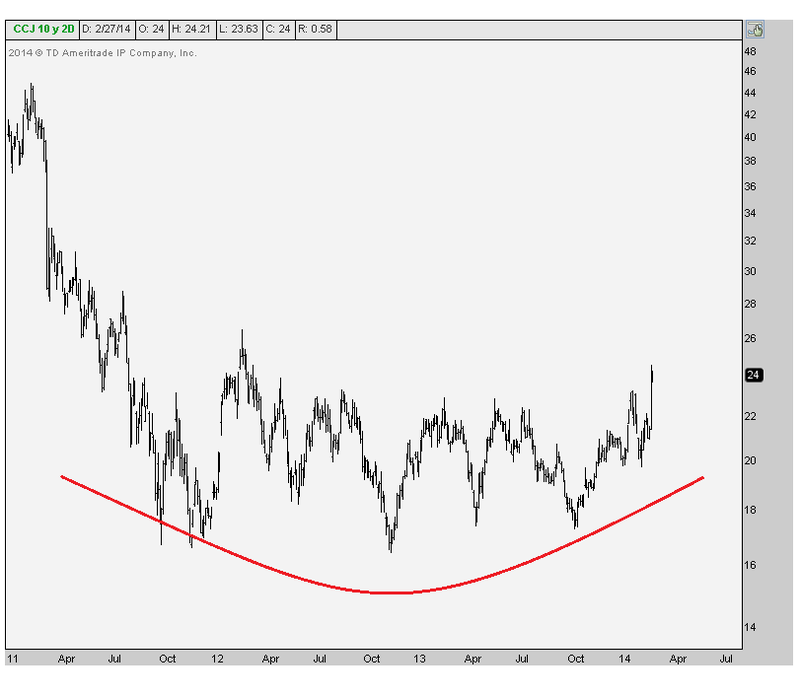 This Long Europe / Short China looks to me like a beautiful breakout after a multi-year base. As long as we’re above those breakout levels, I find it hard not to love it. Is this the Chart of the Decade? 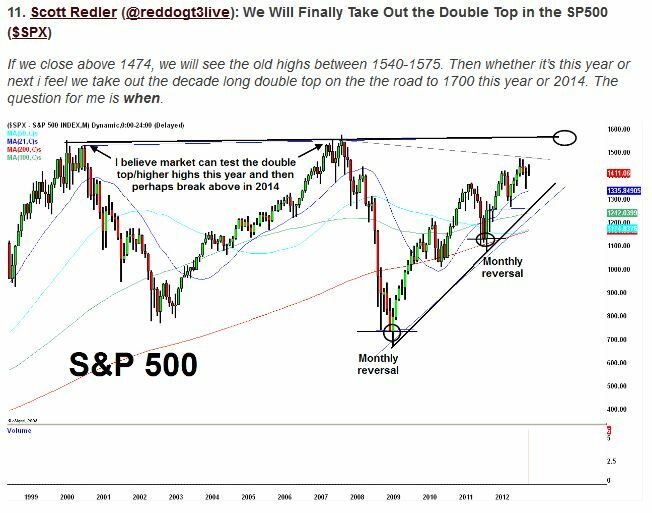 There’s a lot to talk about these days in the charting world, both long term and short term. But today I wanted to bring up one of the more interesting transitions in money flow that I see out there. In case you didn’t know, for most of the last decade, Latin American stocks consistently outperformed much of the developed world, specifically outside of North America. But I’m pretty sure this is now changing. The MSCI EAFE Index (Europe, Australasia and Far East) is designed to measure the performance of developed markets outside of US and Canada. 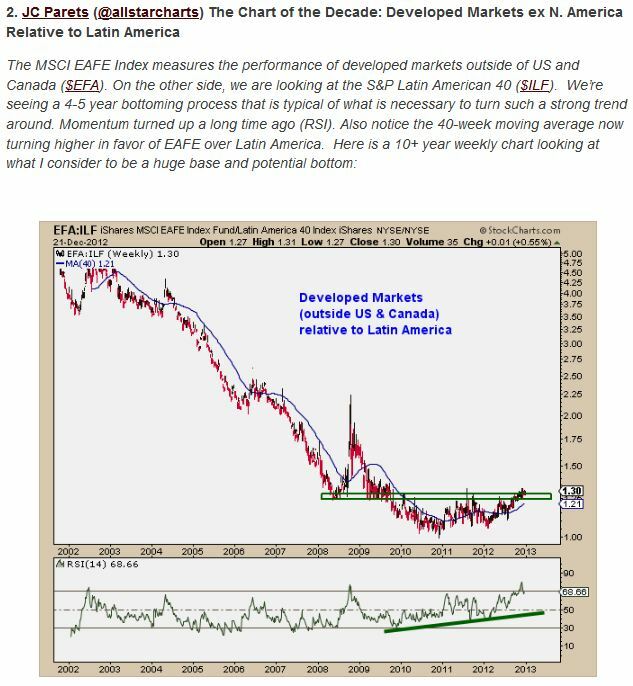 There are 22 counties including Australia, Germany, France, Japan, Sweden, & UK.. On the other side, we are looking at the S&P Latin American 40, which consists of 5 major Latin American Markets: Brazil, Peru, Chile, Colombia, and Mexico. We’re seeing a 4-5 year bottoming process that is typical of what is necessary to turn such a strong trend around. Momentum turned up a long time ago, as we can see in the Relative Strength Index below. 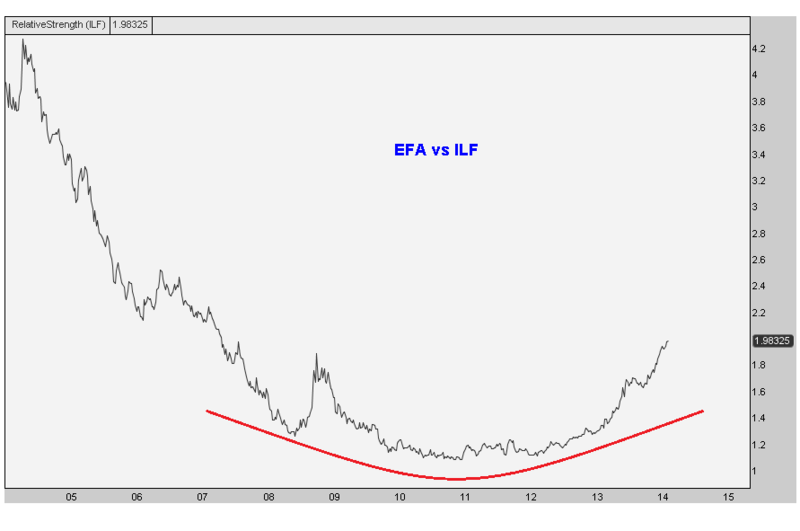 And also notice the 40-week moving average now turning higher in favor of EAFE over Latin America. One of the reasons I find this chart so interesting is really because of the potential upside. We brought up Japan and Europe recently. And even though Mexico looks good on an absolute basis, it appears as though stocks in developed nations (outside north america) as a group seem poised to outperform going forward.